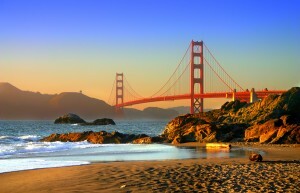 According to The Daily Beast, San Francisco ranks as “America’s Vainest City”. What does this mean? Well, the results were based on body mass figures and spending on personal care. This means that San Franciscans keep in shape, keep up their appearances, and are willing to drop the cash to do so. On the down side, it can feel nearly impossible to keep up with San Francisco’s Joneses. This also means that San Francisco has a lot to offer in the world of fitness and beauty, and that standards are set very high. Just as you would demand the best in your gym and/or skin care, you should also demand the highest of standards in your San Francisco plastic surgeon. If you are considering plastic surgery such as a mommy makeover or labiaplasty in San Francisco, don’t settle for less than the best. Dr. Usha Rajagopal is the plastic surgeon you have been looking for. The director of the San Francisco Plastic Surgery and Laser center, Dr. Usha has performed more than 1,000 labiaplasty surgeries, and has been a trusted name in plastic surgery for over twenty years. For a delicate procedure such as labiaplasty, you want to feel confident in and comfortable with your surgeon. Not only does Dr. Usha have the experience and skill, she also brings a women’s intuition and sensitivity. She believes an informed patient is the best kind of patient. For more about Dr. Usha Rajagopal and labiaplasty, read the full article HERE. If you have further questions or want to schedule a consultation with Dr. Usha Rajagopal, feel free to contact The San Francisco Plastic Surgery and Laser Center at (415) 392-3333. Dr. Usha can provide in depth information about the procedure and her approach so you will know what to expect before, during, and after your procedure.